Stevenage and Knebworth Locksmiths have been providing an honest and reliable service in the Hertfordshire area for a combined 40 years. As a local Security company we cover all areas of Locksmithing, CCTV, Access Control, Safe supply & installation and bespoke Security Grilles/Gates. No job is too big or small for us so whatever your requirements please do not hesitate to contact us for a free no obligation quotation on 07760 247247. We also have no call out charge so not only do you get value for money but all are services are priced competitively. We provide you with an easy and reliable service for maintaining a high level of security to your property. This includes the supply and installation of products such as CCTV and Access Control so that you always feel safe and secure.Our Security systems are designed to control and secure the access to your home or business, whilst allowing you to be able to monitor and protect your premises. ARC Locksmiths work for a wide range of company's that have benefited from our locking systems including Hospitals, Schools, industrial premises and offices. 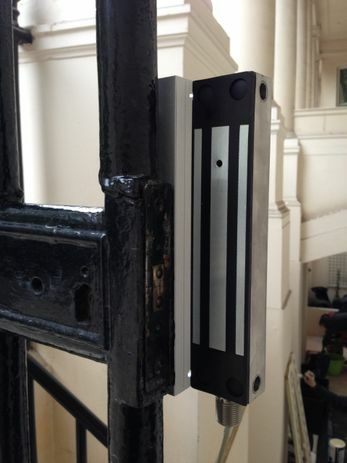 Our Access Control systems can be used to control doors, windows, gates and barriers. For more information or a personalised quotation please do not hesitate to contact our friendly staff who are happy to help with all your Access Control needs. Call 07760 247247 today.